Sydney, The Fine Arts Press, 1977.. 8vo; pp. 112; monochrome illustrated endpapers, b/w illustrations, 14 pages b/w plates, 2 pages colour plates, original stiff illustrated wrappers with minor scuffing to edges, spine slightly faded; otherwise very good copy. 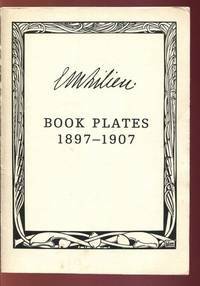 E M Lilien Book Plates 1897-1907. London, Privately printed by Otto M. Lilien, 1973.. Sm. 8vo; pp. (42) un-paginated; 38 pages of b/w illustrations; original stiff wrapper, light wear to wrapper and stain on back, otherwise a very good copy. Limited Edition of 375 copies. No. 60. E. M. M.: A handlist of the published works and manuscripts of Edmund Morris Miller 1881-1964. Hobart, Morris Miller Library, University of Tasmania, 1970.. 4to; pp. 27; portrait frontispiece, index to correspondents, inscription to front endpaper, signed by the author on preface, original stiff stapled wraper, title in black on front, a very good copy. Only 500 copies printed. Victoria, National Gallery of Victoria, (1994).. 4to; pp. 74; colour illustrations throughout, further sources; stiff illustrated wrapper, price sticker to rear wrapper, otherwise a fine copy. 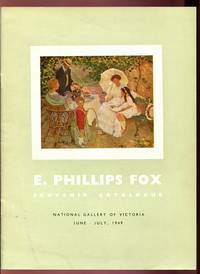 E. Phillips Fox Souvenir Catalogue. : National Gallery of Victoria June - July, 1949. Alfred Henry Pettifer, Government Printer, n.d.. 8vo; pp. 12; illustrated endpaper, numerous b/w illustrations; original stiff stapled illustrated wrapper, light marks to wrapper, otherwise a very good copy. E. V. Keogh. 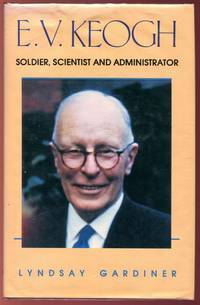 : Soldier Scientist and Administrator. (Melbourne), Hyland House Publishing Pty Limited, (1990).. First Edition; 8vo; pp. xvi, 176; illustrated frontispiece, illustrated endpapers, 12 plates, bibliography, references and bibliography, index; minor chipping to dustjacket, previous owner's stamp, otherwise a very good copy. Inscribed by author. (Victoria), Hyland House, (1990).. First Edition; 8vo; pp. xvi, 176; frontispiece, illustrated endpapers, b/w. illustrations, bibliograghy, references and bibliography, index; dustjacket, a fine copy. (Melbourne), Hyland House Publishing Pty Limited, (1990).. 8vo; pp. xvi, 176; illustrated endpapers, illustrated frontispiece, list of illustrations, references and bibliography, index; original cloth, marks to faded dustjacket; writing in ink on front free endpaper, cloth bumped; otherwise a very good copy. EBEL World of Professional Golf 1987. London, Willow Books Collins, 1987. . 8vo; pp. 505; 19 full page plates, 45 pages plates, dustjacket, a fine copy. THE ECHO: A Miniature issue of "Special Illustrated Number Of The Echo, To Commemorate The Departure Of The New South Wales Troops For The Soudan". Dated: Tuesday, March 3rd. 1885. 14.8 x 10 cms. pp. 8; 16 illustrations, miniature edition newspaper restored and bound in cloth-grained papered boards, gilt title on spine, browned with silverfish damage to some pages which has been skillfully repaired, however some of the text has been obscured. Rare. EIGHT BY EIGHT. : Poems by Vincent Buckley, Laurence Collinson, Alexander Craig, Max Dunn, Noel Macainsh, David Martin, R. A. Simpson, Chris Wallace-Crabbe. First Edition; 8vo; pp. 112; original cloth, dustjacket, name on front endpaper otherwise a very good copy. (Brisbane), Jacaranda Press, (1963). London, Sampson Low, Marston, & Company, 1901.. 8vo; pp. (viii), 364; portrait frontispiece, index; original cloth, bottom edge of boards bumped, corners bumped, pages uncut, gilt top edge with silverfish damage, good copy. Each Man's Wilderness. : Reflections by Australian Artists. Australia, Rigby Limited, 1980.. 4to; pp. 120; numerous b/w and colour illustrations throughout, biographies; original cloth, dustjacket, a fine copy. Eagle Day. : The Battle of Britain. August 6- September 15 1940. Great Britain, Hodder and Stoughton, (1966).. 8vo; pp. 316; map endpapers, 24 pages of b/w plates, bibliography; original blue cloth, title lettered in white on spine, illustration in white on front board, dustjacket price clipped, rear of dustjacket scuffed, otherwise a very good copy. 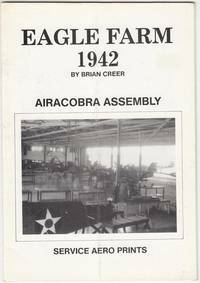 Eagle Farm 1942.: Airacobra Assembly. Archerfield, Service Aero Prints, 1987. . First Edition; 8vo; pp. 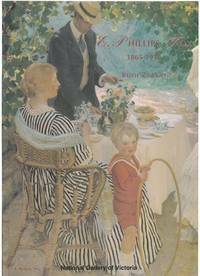 16; frontispiece, 14 b/w illustrations; original stiff stapled illustrated wrapper, light wear to wrapper, a good copy. 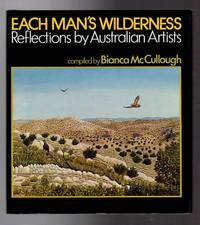 Eaglehawk Dahlia & Arts Festival 1982.: Literary Competition. 8vo; pp. 59; stiff stapled illustrated wrapper, a very good copy. n.p., (Bendigo, Vic, Printed Offset by Cambridge Press), n.d.
Eaglehawk Dahlia and Arts Festival Celebrating 40 Fabulous Years. Eaglehawk Dahlia and Arts Festival Inc., 2011.. 4to; pp. xii, 200; numerous b/w illustrations, index; original cloth, dustjacket, a fine copy. Signed by the author on front free endpaper. Eaglehawk North Primary School No. 1428. 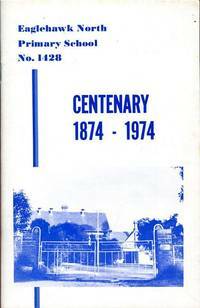 Centenary 1874 - 1974. 8vo; pp. 40, (un-paginated); numerous b/w illustrations; stiff stapled illustrated wrapper; wrapper foxed, a good copy. Bendigo, Cambridge Press, 1974. The Eagles The Collected Poems Of Albert Bayldon. Melbourne, Edward A. Vidler, 1921.. First Edition; 8vo; pp. 159; original blue/grey cloth, spine and corners a little bumped and worn, browning to endpapers, a good copy. 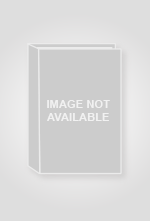 The Eagles The Collected Poems Of Arthur Albert Bayldon. First Edition; 8vo; pp. 159; original blue/grey cloth, spine and corners a little bumped and worn, name on front endpaper, a good copy. Melbourne, Edward A. Vidler, 1921.